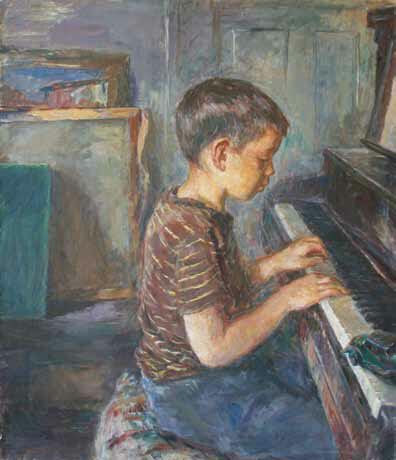 Sarah Blakeslee was born in Evanston, Illinois. 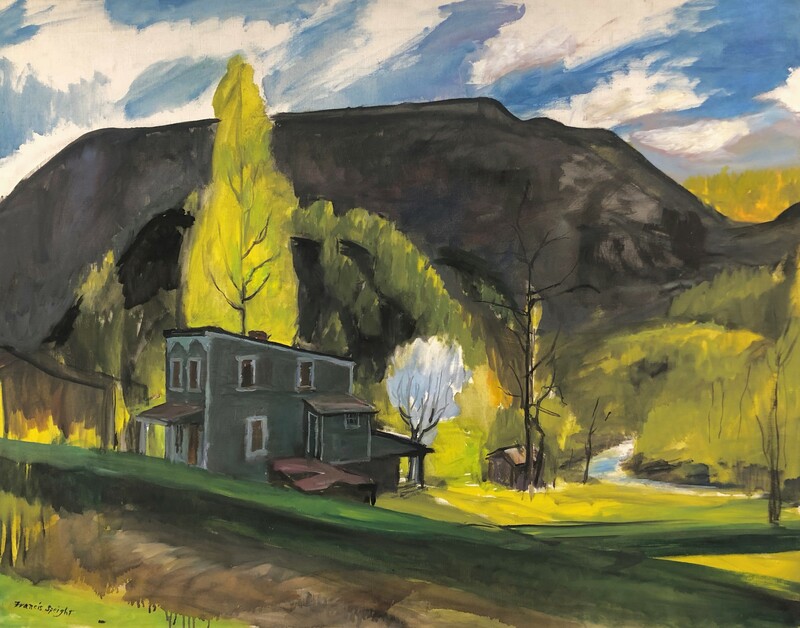 She began her art studies at the Art Institute of Chicago at the young age of 13 and, following a move to Washington D.C., took classes during high school at the Corcoran School of Art. 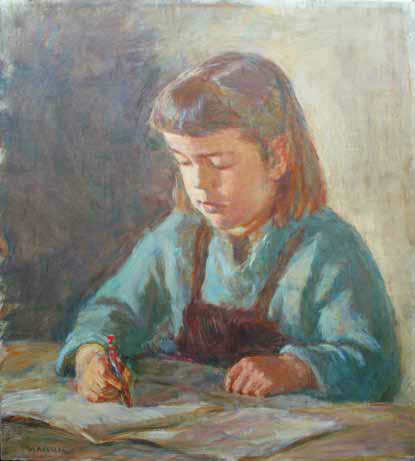 Here she received instruction from Catherine Critcher, an accomplished artist and early member of the Taos artist colony. 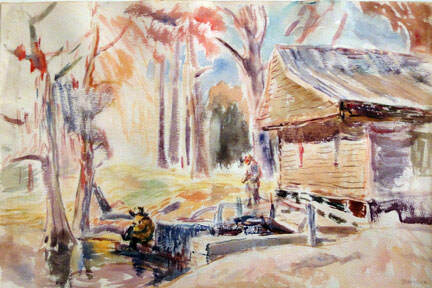 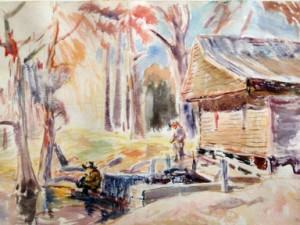 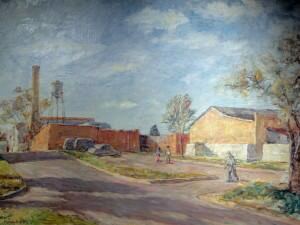 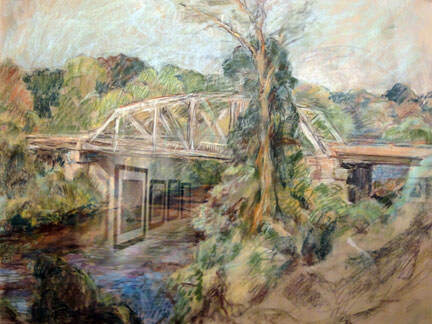 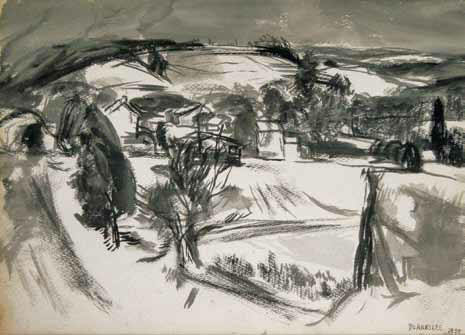 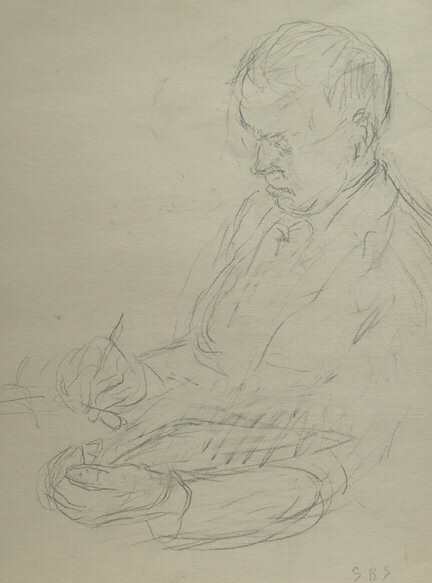 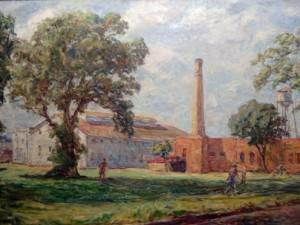 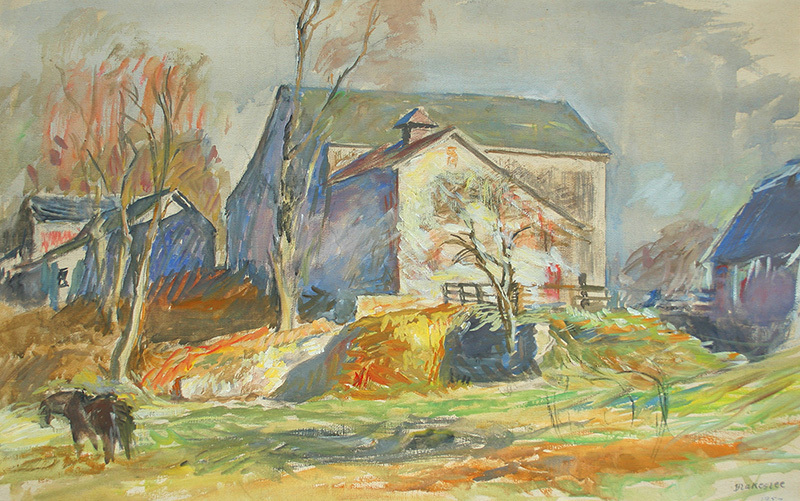 In 1931 Blakeslee moved to Chester Springs, Pennsylvania to study at the Pennsylvania Academy of the Fine Arts. 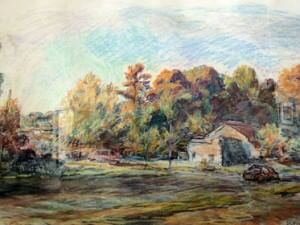 This move proved to be a pivotal step in Blakeslee’s life. It was through the Academy that the artist received two Cresson Traveling Scholarships to paint in Europe. 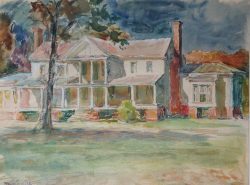 It was also through the Academy that Sarah Blakeslee met her kindred spirit, teacher and future husband, Francis Speight. 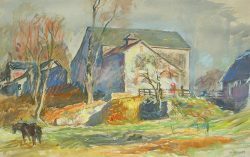 The couple married in 1936 and took on a rural lifestyle in Bucks County, Pennsylvania where they remained until 1961. 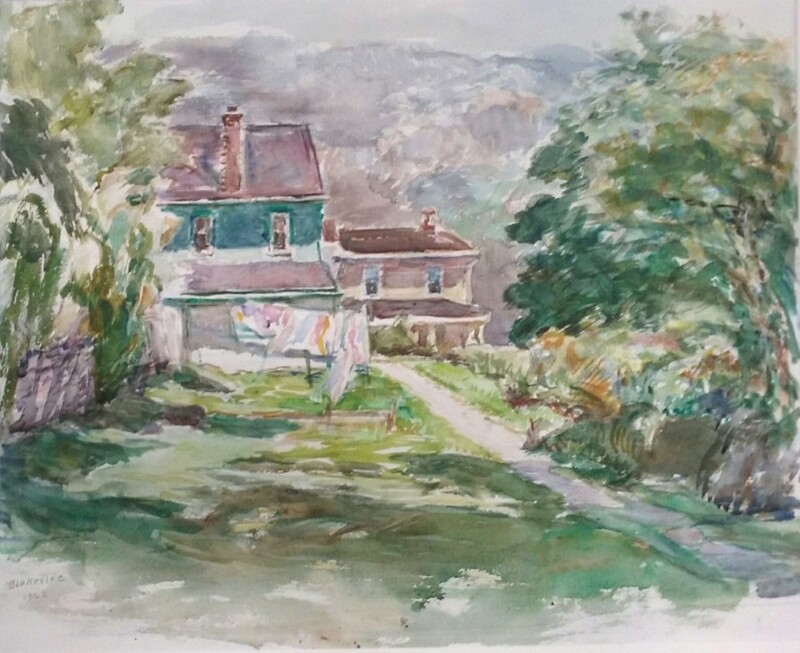 Sarah Blakeslee was trained in both impressionism and realism, and painted in both oils and watercolors. 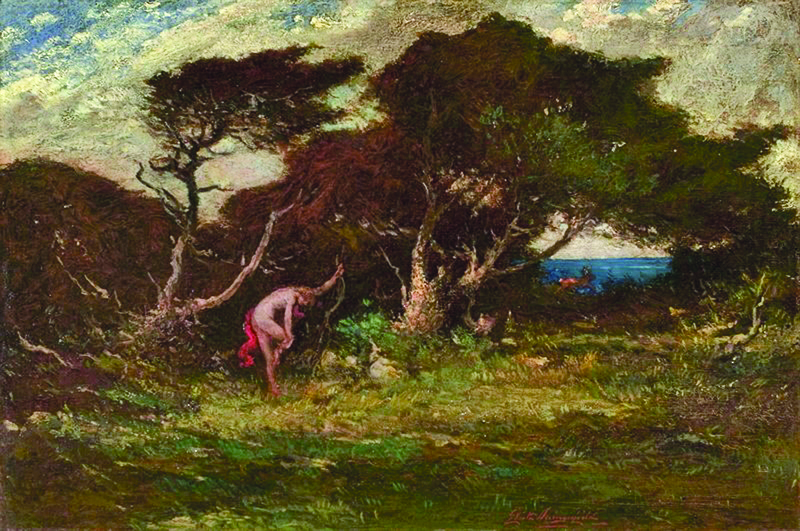 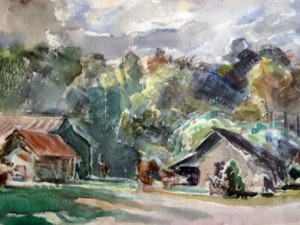 The influence of the Pennsylvania Academy of the Fine Arts is evident particularly in Blakeslee’s early landscapes with their skillful brush strokes and vivid color palette. 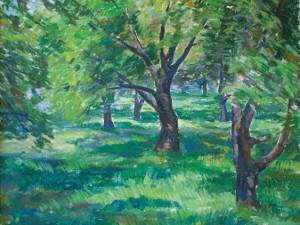 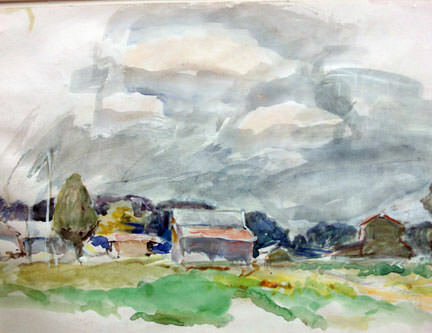 Blakeslee always worked directly from her subjects, be it landscapes or portraits. At the age of 25, Sarah Blakeslee exhibited her work in the 48th Annual Exhibition of the Art Institute of Chicago as well as in the 15th Biennial Exhibition of the Corcoran Gallery of Art. 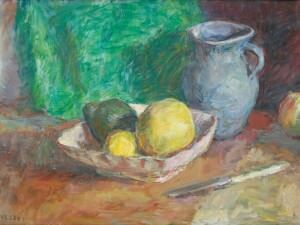 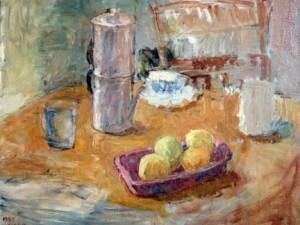 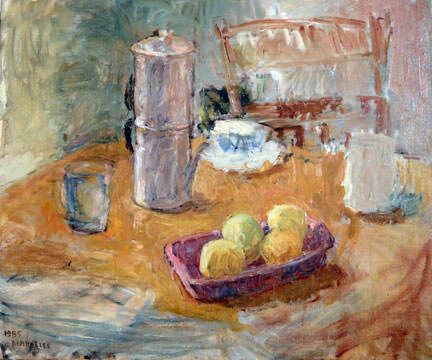 From 1938 to 1964 she exhibited works in the Pennsylvania Academy of Fine Arts’ Annual Exhibitions. 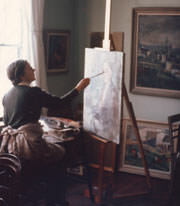 She also participated in the Golden Gate International Exhibition in San Francisco as well as the New York World’s Fair. 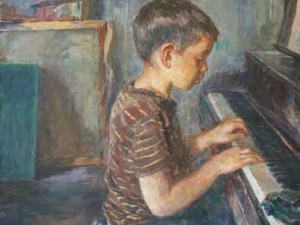 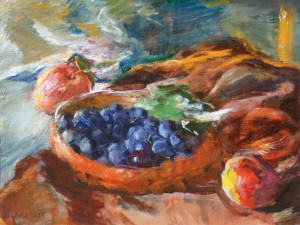 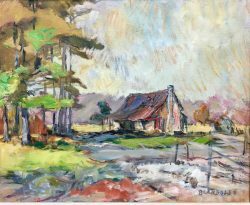 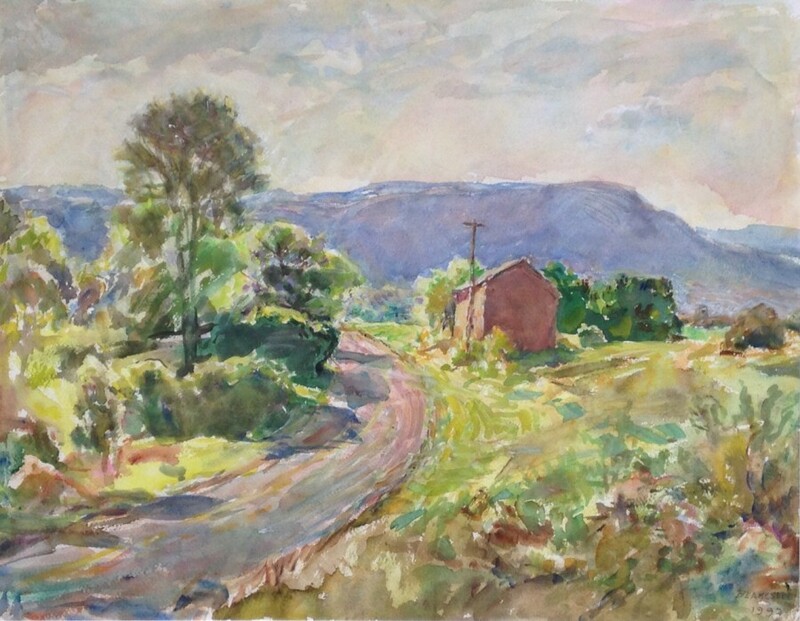 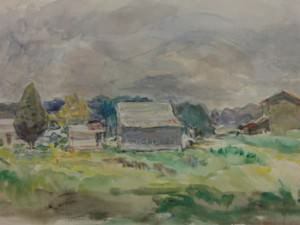 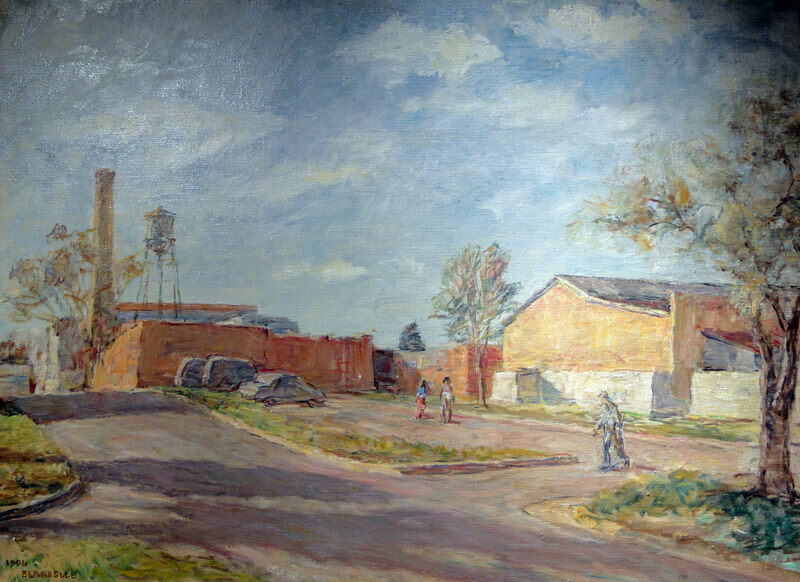 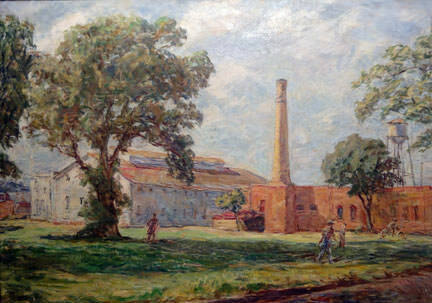 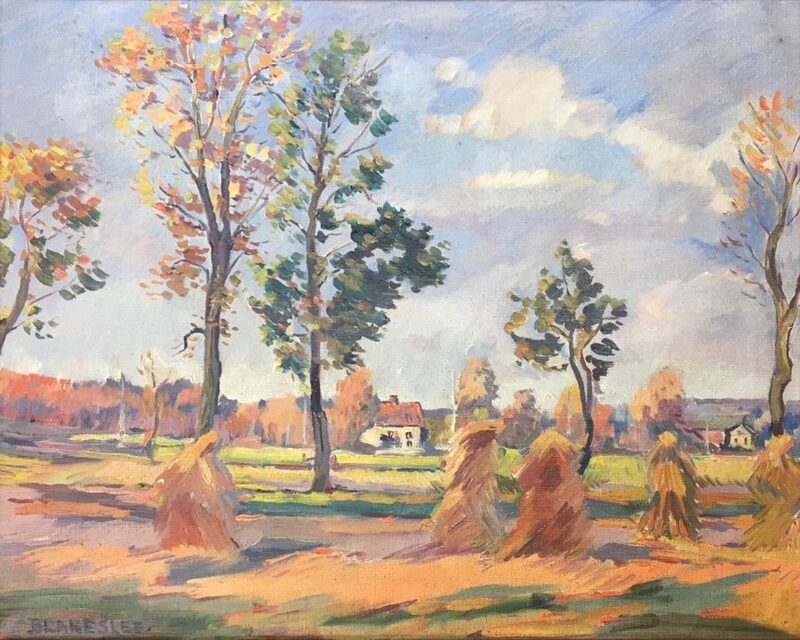 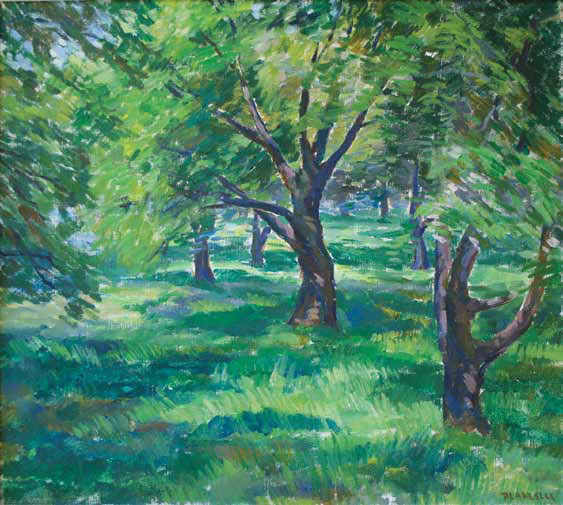 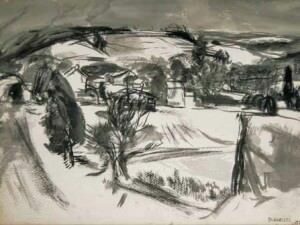 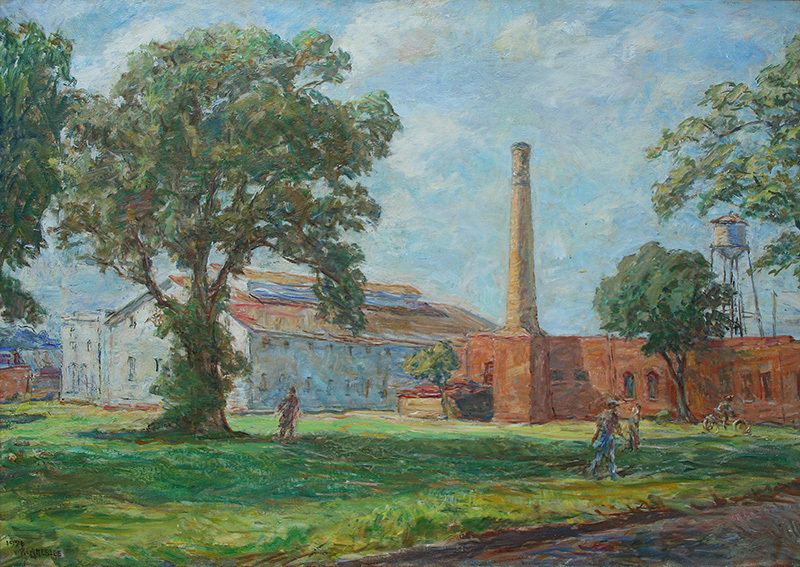 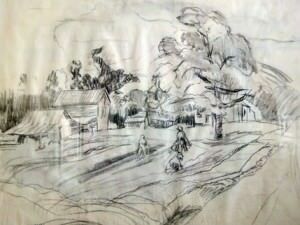 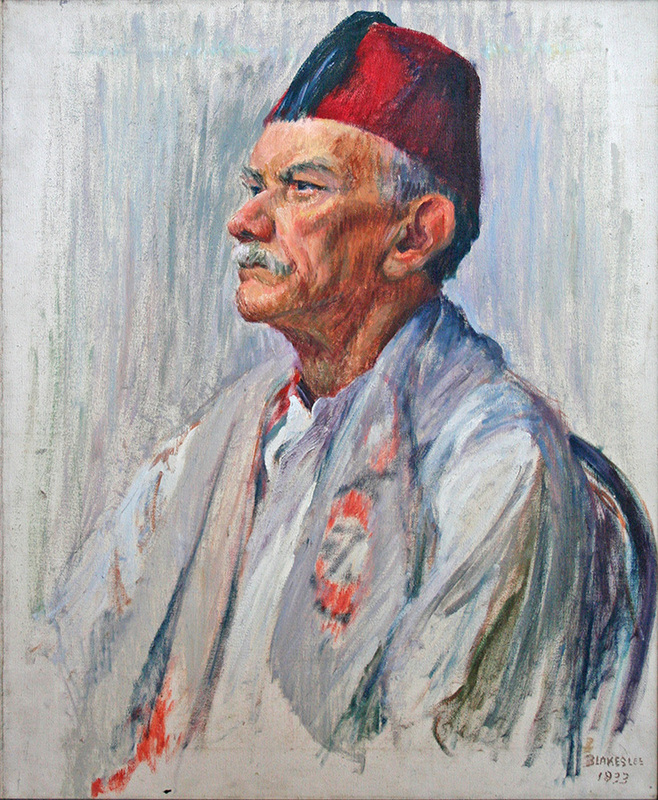 Blakeslee’s artwork can be found in numerous museum collections including The North Carolina Museum of Art, North Carolina State University, Greenville Museum of Art and The Philadelphia Museum of Art. 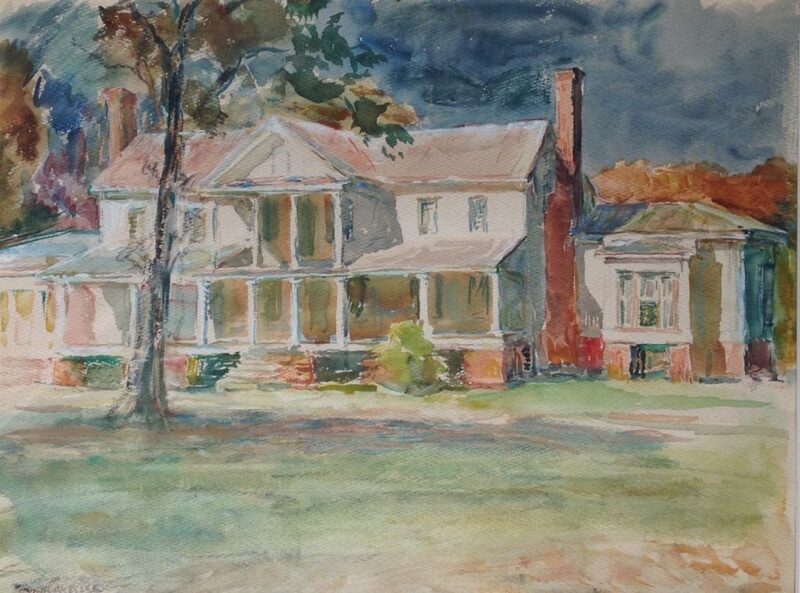 In 1961 Sarah Blakeslee and husband Francis Speight relocated from Pennsylvania to Greenville, North Carolina where he took on a teaching position at East Carolina University. 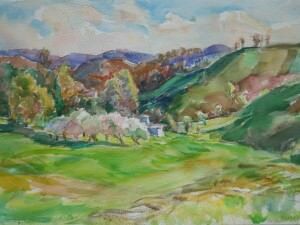 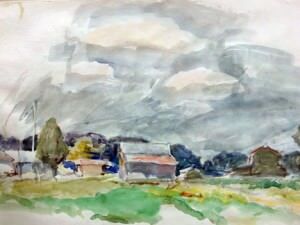 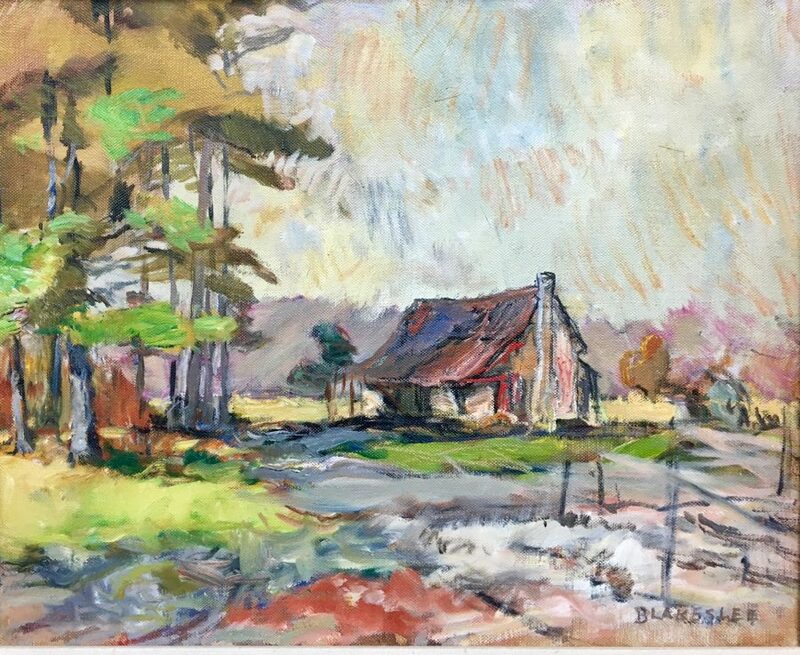 Sarah continued to paint and teach during the 1960’s and 1970’s at various art centers in Greenville, Kinston, Washington and Rocky Mount, North Carolina. 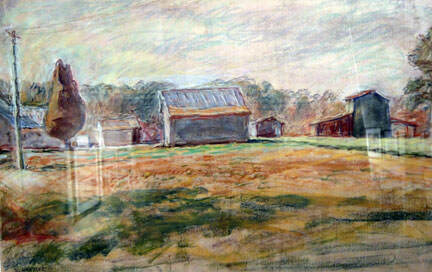 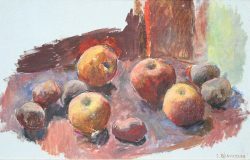 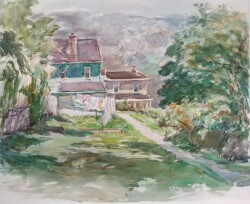 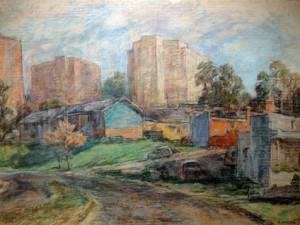 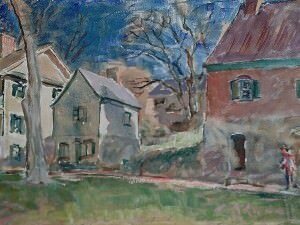 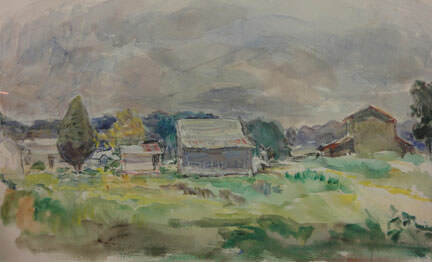 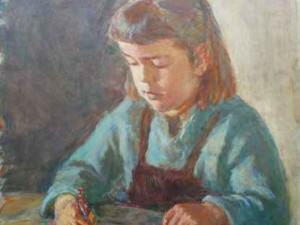 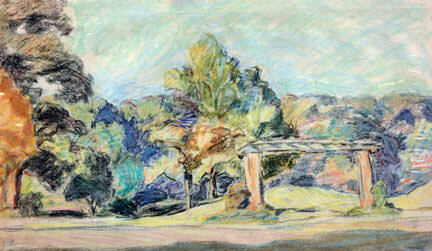 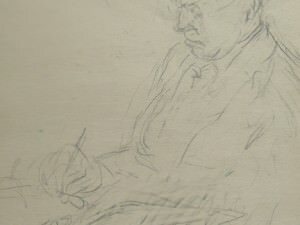 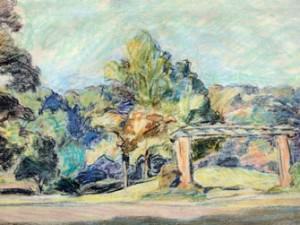 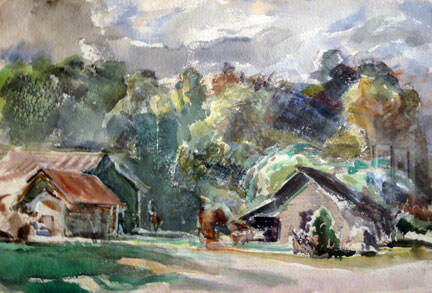 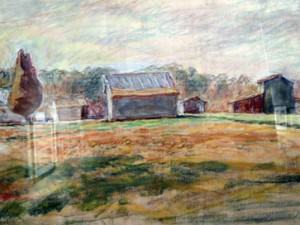 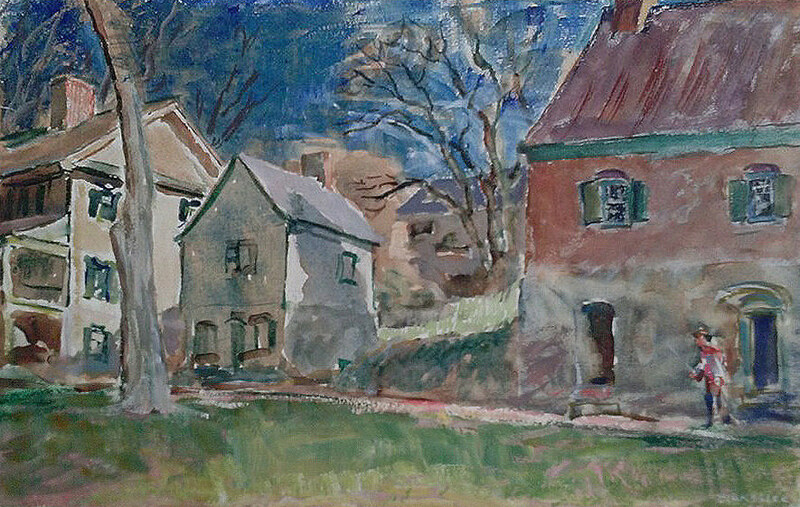 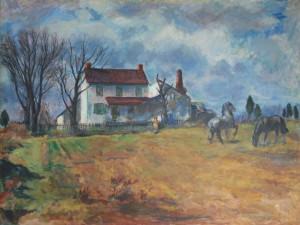 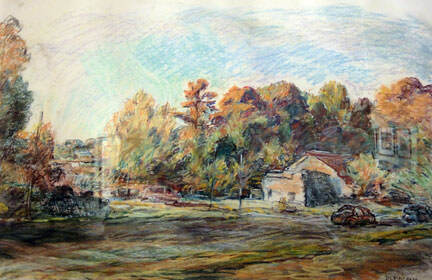 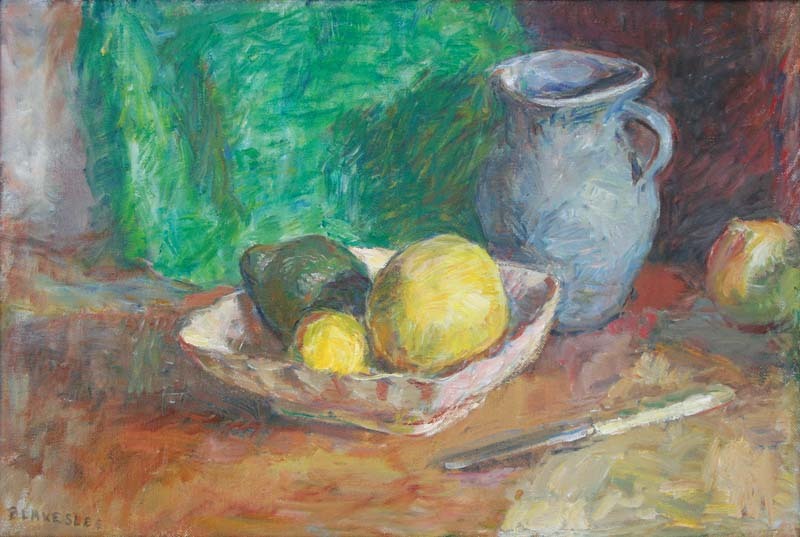 The artist returned to Pennsylvania following her husband’s death and lived near her children until her death in 2005.